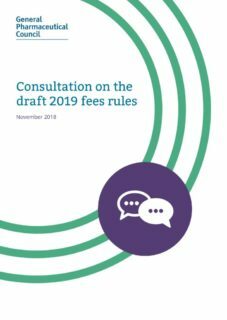 The GPhC has been consulting from 1 November 2018 to 24 January 2019 on changing its fees for registered pharmacists, pharmacy technicians and pharmacy premises. There are approximately 56,555 pharmacists and 24,551 pharmacy technicians on the register, alongside approximately 14,000 registered pharmacies. Based on those figures, that would mean an additional £763,538 revenue for the GPhC as a result of the fee increases. Before increasing fees, the GPhC must explore other alternatives to reduce its costs, such as moving its headquarters out of Canary Wharf to a cheaper location. At the same time as reducing the GPhC’s outgoings, such a move could also make it less expensive for registrants to attend GPhC hearings in London, including the requirement to find overnight accommodation there. The GPhC has a duty to ensure that its registration and renewal fees are sufficient, without being excessive, to allow it to adequately fulfil its role in protecting patients and the public. That includes markedly improving the regulation of pharmacy premises – creating parity in its approach to issuing sanctions to organisations and individuals. The GPhC must ensure that the fees it sets enable it to do that. The GPhC must improve the governance over the remuneration of council members. This could include appointing an independent committee to review such remuneration (in April 2018, the GPhC increased the remuneration of council members, which was recommended by a committee comprised mainly of council members, including the chair of the council. The committee recommended an increase in the chair’s remuneration and the chair of that committee also received an increase, both in her role as that chair and as a council member). The GPhC must demonstrate that it carefully controls the amount of money it spends on fitness to practise cases and litigation before it considers raising registration fees. GPhC registrants should not have to bear the cost of unnecessary litigation (an FOI request in 2017 revealed that the GPhC spent almost £200,000 on just three legal cases alone, which appear to have been avoidable). The GPhC’s fee structure appears to support the continued targeting of individual registrants, rather than its dual role of the regulation of both individuals and premises. 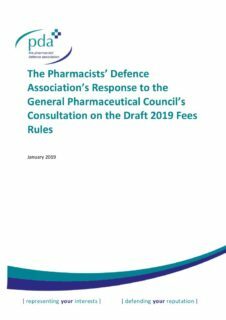 The GPhC must review its overall fee structure to ensure a proportionate focus on the regulation of premises/systems, and individuals (the GPhC has highlighted in its consultation document that 82.98% of its budget income comes from individual registrants, and only 16.06% comes from pharmacies).